Do you have a favorite key to play in? Do you prefer playing melodies in the major or minor key? What is your favorite mode? Many of us will be able to answer the first two questions but be left pondering over the last question. There are seven different modes (of which the major and minor scales are two) and all have very distinct characters. We tend not to be so familiar with the other five. Whilst modes are often cited as being used for church music they also crop up in many styles of music including Jazz and in the works of classical composers. Shelley explores the seven modes in her original work ‘Music of the Spheres’ which is part of her ‘HarpOsphere’ concert. In this workshop she will introduce the modes and enable students to explore their character, looking at ways they are used and also finding interesting ways to use them in our playing. Do you like to play Pop songs? Sometimes we find that sheet music of our favourite songs have not been published for harp. Come and learn key skills required to create your own harp arrangements using readily available PVG (Piano/Voice/Guitar) scores and recordings. What works best? How can you make the arrangement ‘your own’? Are there typical chord progressions and rhythms? What harp sounds and tricks can you use to create a Pop feel to your music? Sometimes we want to play a tune that we cannot find any sheet music for at all, so in this class we will also take a look at how you can use recordings / YouTube to work out your favourite song. Come along and open the door to a whole world of Pop music on the harp, even writing your own! In this workshop we take a look at a selection of Theme and Variations from different periods of history. This is a lovely relaxed class ideal for mixed ability groups due to the recurring bass lines and chord progressions that are used to build all pieces. Learn the basics of 12 bar blues and begin to improvise and write your own! A looper pedal enables performers to record their playing live on stage and then perform over their recorded ostinato tracks. Learn the joys of using ostinato patterns in your own playing and discover some basics on how a looper pedal can be used with harp in performance. This fiery, intriguing and passionate piece of music is an incredible addition to any harpist’s repertoire, whatever your level! Come along to this workshop to learn the structure, mood and style of the music and perform the piece within an ensemble setting. To join this workshop you will need your own copy of ‘Baroque Flamenco’ which will be available for purchase on the day if required. She’s electric, can I be electric too? Aimed at those who have never played on an electric harp, in this workshop Shelley enables you to have a hands-on experience and experiment playing on electric harps and also with some of her favorite effects pedals including the popular ‘looper’. Having ‘fallen into’ electric harp playing Shelley has learnt on the job what works well and what to avoid. She will provide you with basic knowledge and terminology that will be useful to understand if you are thinking of take the plunge into the electric world! Ensemble playing Dynamic Harps style! Do you enjoy playing in a harp ensemble? 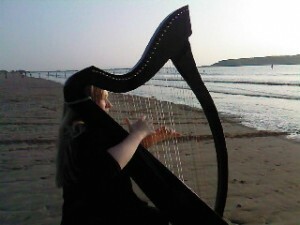 Come and play Dynamic Harps style! 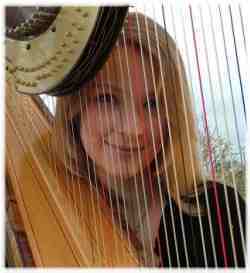 In 2014 Shelley launched two Harp ensembles in Cardiff and has been writing and arranging music for them ever since. In this workshop you will be introduced to contrasting styles of ensemble pieces that have become strong favorites for the groups over the years, both for performers and the audience members! Whilst (of course!) enjoying the music, we look at developing key skills needed for the ensemble player such as good communication, working as a team, creating an engaging performance and of course counting!